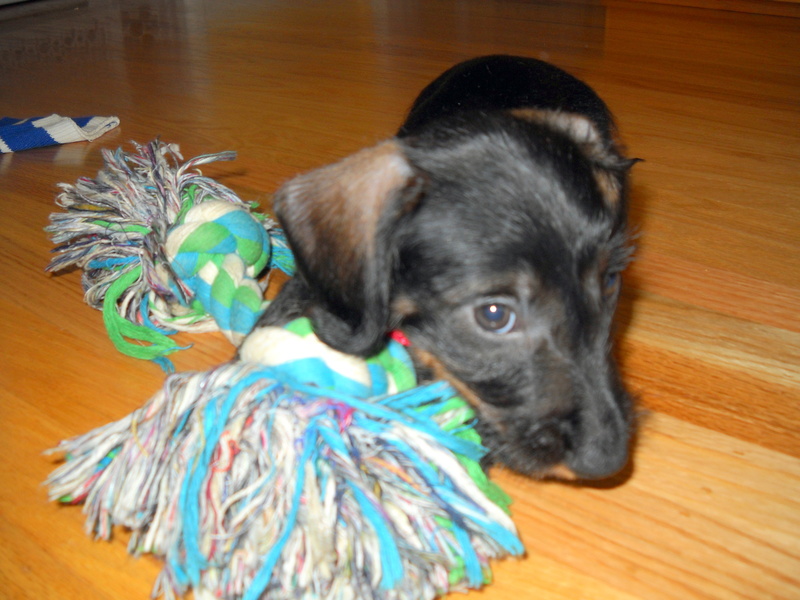 Chloë arrives home at seven weeks old. 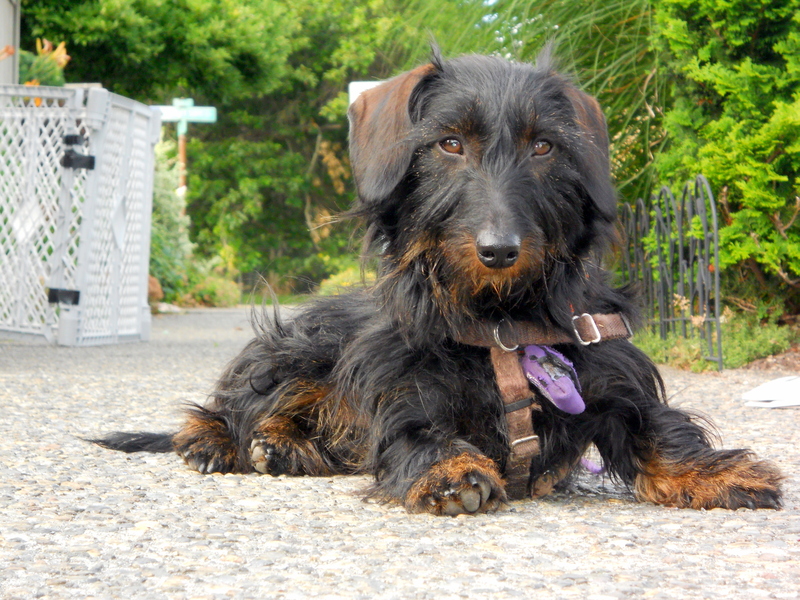 Chloë is a wirehair dachshund who lives near Discovery Park in Seattle’s Magnolia neighborhood. Born on Feb. 5, 2010, she began blogging at seven weeks. As she explains in an early post, her eyes are not really blue, as in the header photo. It is merely another example of artistic manipulation by Chloë’s agent and editor, Mike Greenstein. Direct all inquiries to him, or visit his website for more information. The author at 18 months, guarding her exercise pen. You’re so sweet! I hope your long nights in the crate end soon. I hear there’s a puppy bed ramp at the Tully-Greenstein’s house. Do you plan to visit Syracuse? Tell your parents to bring you to meet all your east coast friends. Chloe, I think you should visit New Jersey too. We have lots of parks and the mother of all parks, Central Park, is just a short jaunt away. As a Springsteen fan, I can only imagine that, baby, you were born to run. So come run out east, but don’t forget to bring your fabulous roommates with you. BTW, you are very cute! Thanks, Janet. While Chloë has heard about the famous Watchung Reserve hiking trails, I don’t think she was born to run THAT FAR…yet. But she will be answering the many questions about her travel plans (and other topics that are HOT, HOT, HOT) in an upcoming post of The Diary of a Wiener Dog. Watch for it! Chloe is such a precious girl. I loved taking care of her a couple of times when she was very young. Thanks for lending Heather and Mike to CNY. Otherwise I never would have had the pleasure of running into them in the Wegman’s parking lot.